Looking for the best dog hiking trails? Rexhame Beach makes that list! There are so many features that put it at the top of the list. Rexhame Beach is a town beach. Being so makes it a bit more private though not unattainable. The beach has a moderately large parking area that allows those with town stickers to park or those without stickers pay a day use fee. This mostly applies to the summer months. Early morning or late in the day are times to use the area without the fee. Though the hours and time of year that the fee is needed, will provide the visitor with a snack concession and restrooms. Many of the more public beaches on the south shore prohibit dogs from the beach during the summer season. Not so with Rexhame beach! 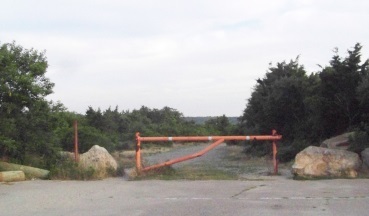 One of the main entrances to the beach at the far end of the parking lot has a stand with dog bags provided. to the trails that run along South River. that leads to these behind the beach dog hiking trails. Why are these trails labeled dog hiking trails? While there is some pretty regular use by people of all sorts, there is a pretty large dog use presence here. Not sure what kind of organization the Marshfield Canine Club is, public or private, it seems they meet here with their dogs regularly. 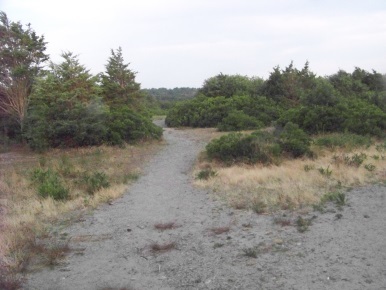 Another great thing about hiking here at Rexhame on these hiking trails is that it is a mix of stone and heavy sand. Sand is great for resistance and gives more of a workout. 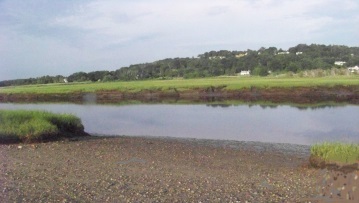 Rexhame Beach is the South River. from times past out here to compost. This has resulted in a wonderful balsam pine aroma as you walk through the passageway out to the beach. Heavenly!! 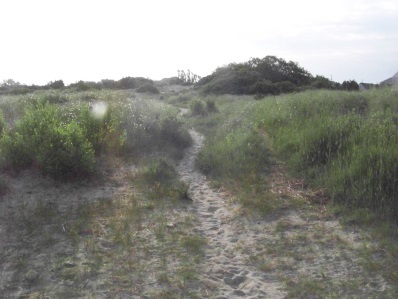 If once you are done exploring the Rexhame Beach trails and you feel you need more exercise, you can continue your journey on to Humarock Beach in Scituate as the trails here lead out to that area. 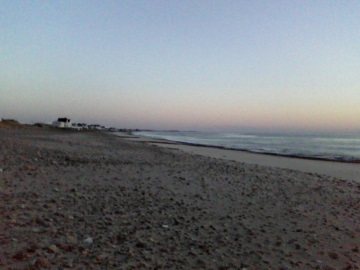 If you are not familiar with the area, it may seem strange that this beach borders anything in Scituate! There is a sign at Rexhame that helps explain this. The gale in 1898 actually removed the land that connected Humarock beach to mainland Scituate. 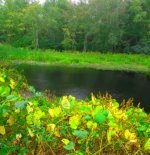 It caused both the North River and the South River to change how they flowed. 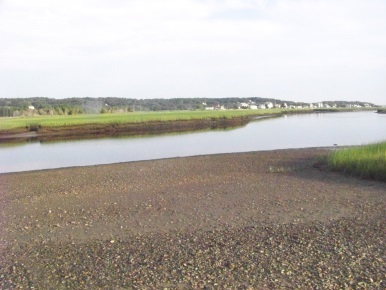 The original inlet for the North River was just on the other side of Rexhame Beach. The land filled itself in after the shift. 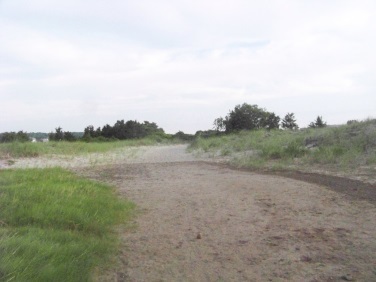 The new inlet is much further north and is at the end of the peninsula that is Humarock Beach. Both rivers connect at that "new inlet". 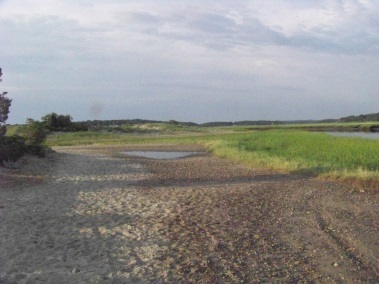 many beaches along the South River. tide can affect your hike. from exit 12 on route 3 follow route 139 east into Marshfield (Plain St.) At the intersection with route 3A the road then becomes Ocean St. Continue straight through Marshfield Center. Continue straight approx. 2 1/2 miles. 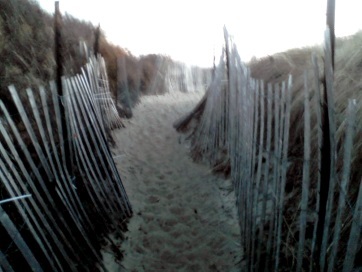 Take a left on Winslow St. Winslow will become Standish St. follow to the end at Rexhame Beach. residents 35.00 with sticker; day use 10.00 weekdays 15.00 on weekends. light to moderate depending on hiking options.